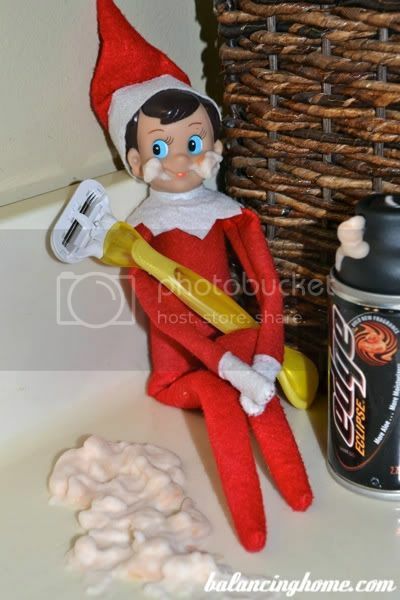 We have had a lot of fun with Bruce our Elf on the Shelf this holiday season. Here is a round up of most of the places (I forgot to snap a picture a few times) Bruce has been. 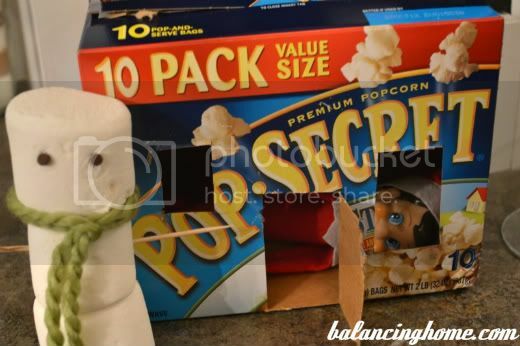 The Elf on The Shelf builds a fort. 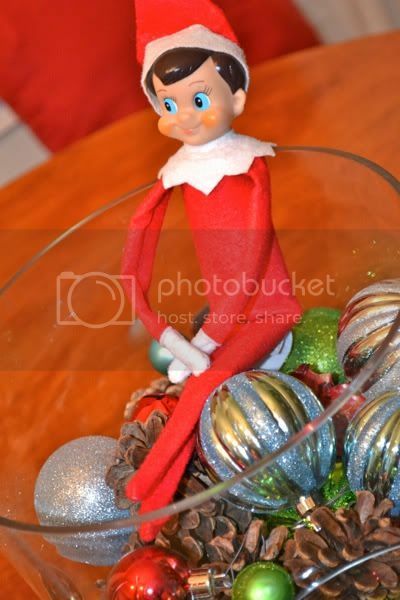 The Elf on The Shelf plays in ornaments. 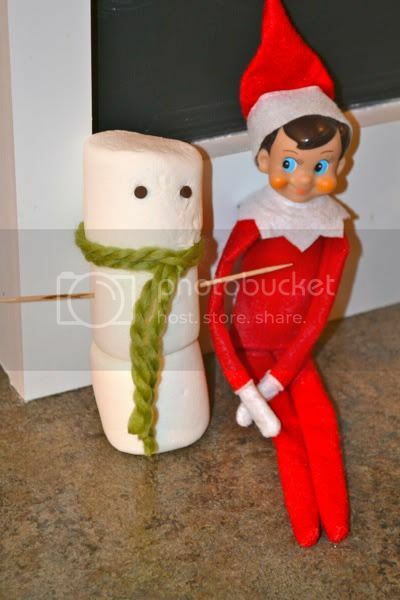 The Elf on The Shelf builds a snowman. 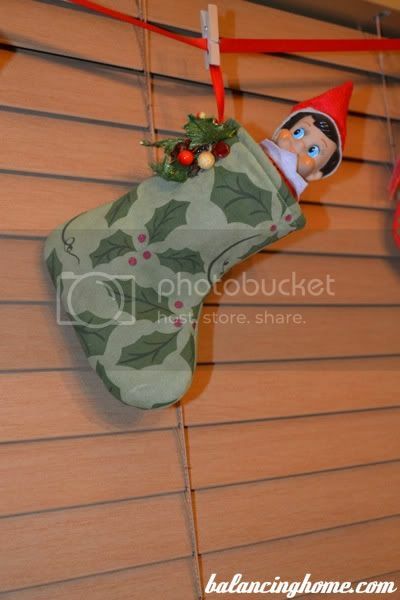 The Elf on The Shelf hides in a stocking. 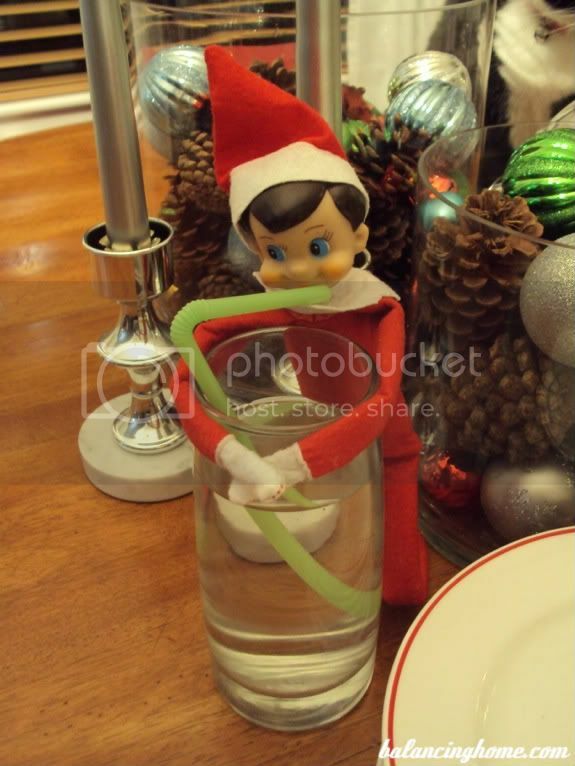 Elf on the Shelf quenching his thirst. 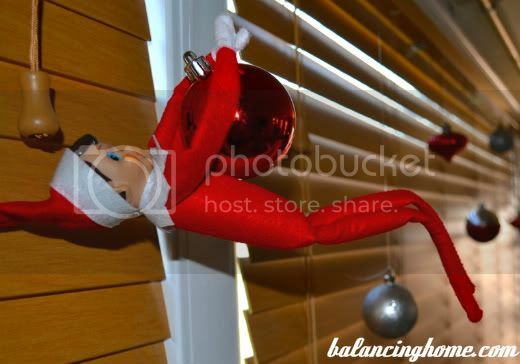 The Elf on the Shelf swinging from an ornament. 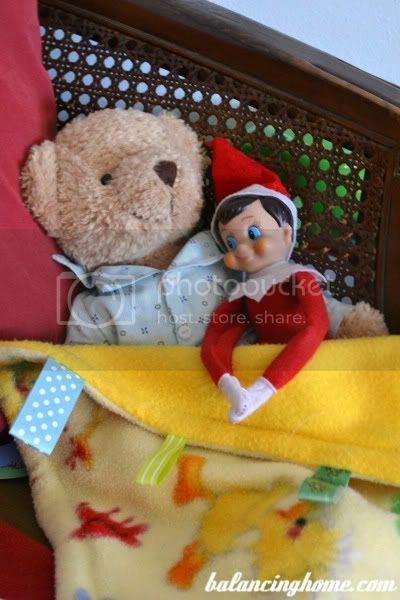 The Elf on the Shelf snuggling with bear. 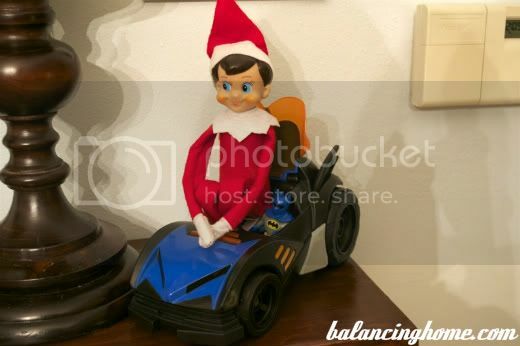 The Elf on the Shelf cruising in the Batmobile with Batman. 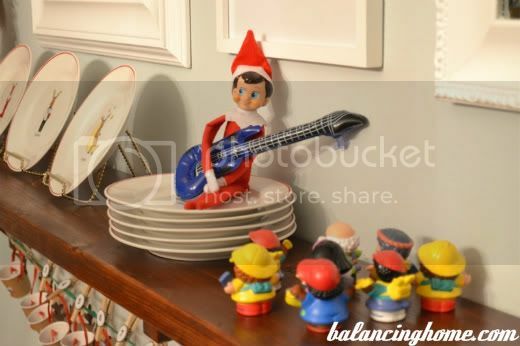 The Elf on the Shelf concert for Little People. 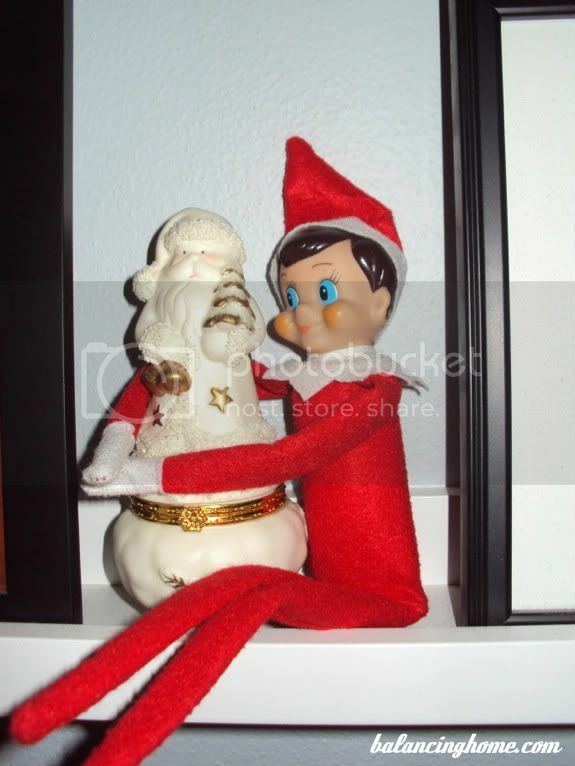 The Elf on the Shelf on the candlestick. 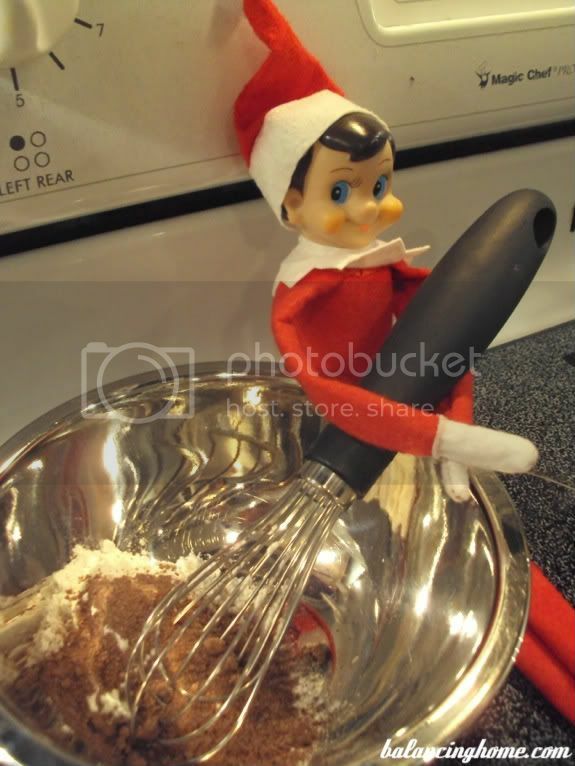 Elf on the Shelf working the whisk. 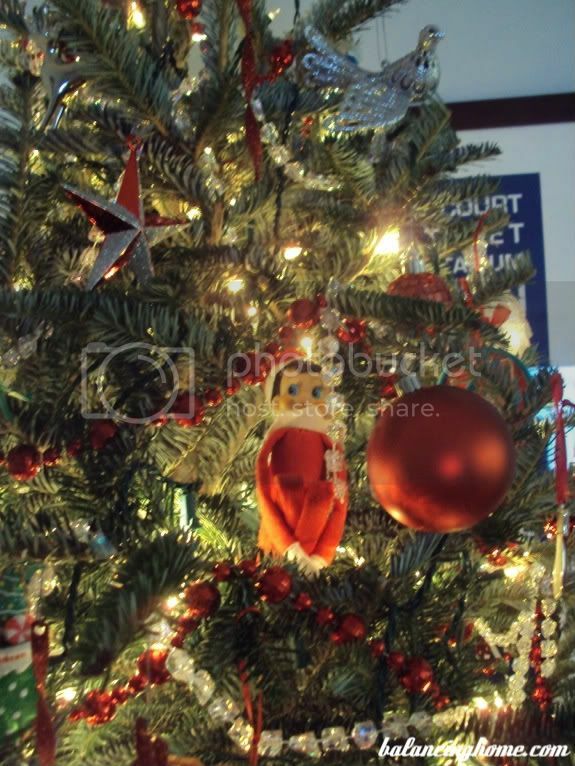 Elf on the Shelf hiding in the Christmas tree. 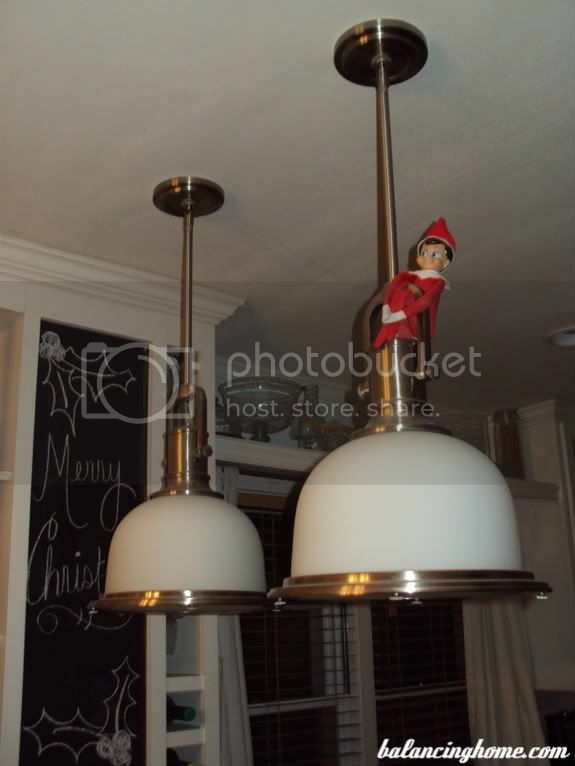 Elf on the Shelf hanging from the pendant light. 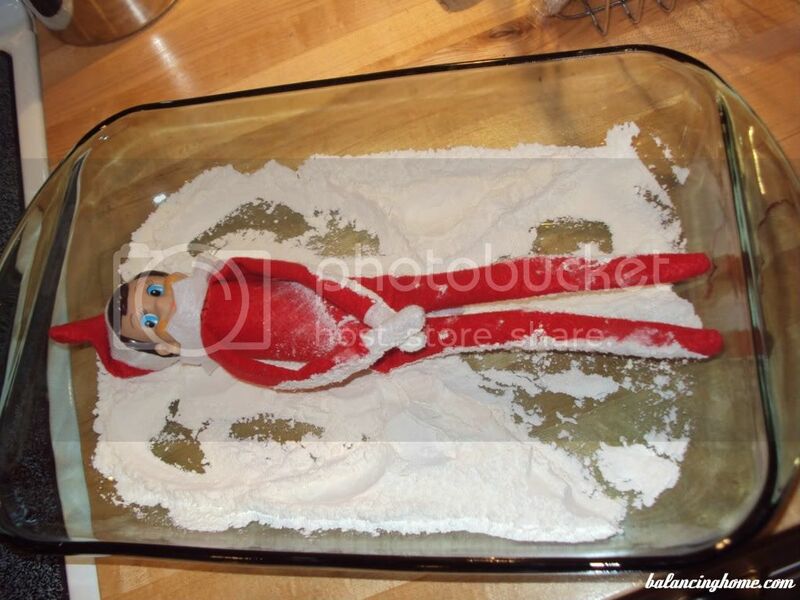 Elf on the Shelf making snow (flour) angels. 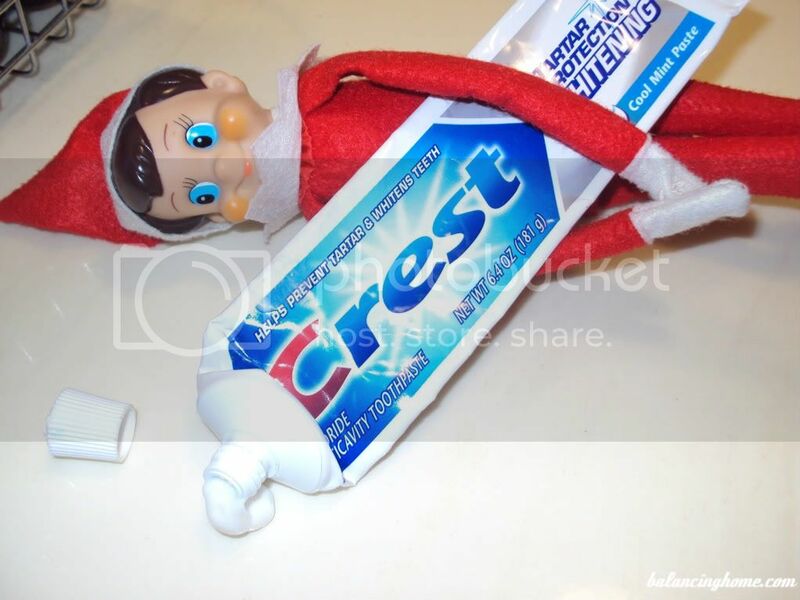 Elf on the Shelf playing with toothpaste. 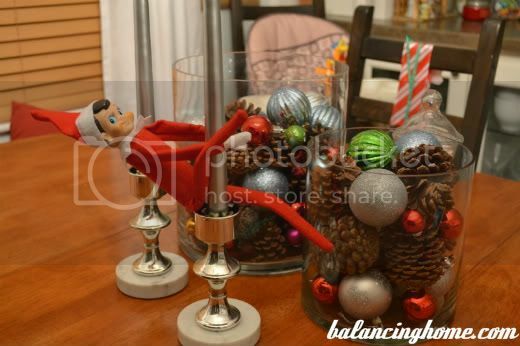 Elf on the Shelf riding a reindeer (stocking holder). 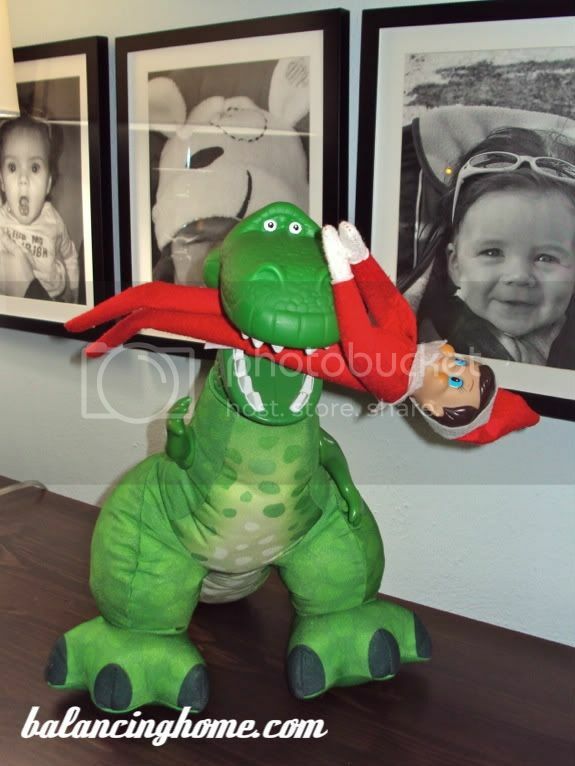 The Elf on The Shelf chomped by Rex. 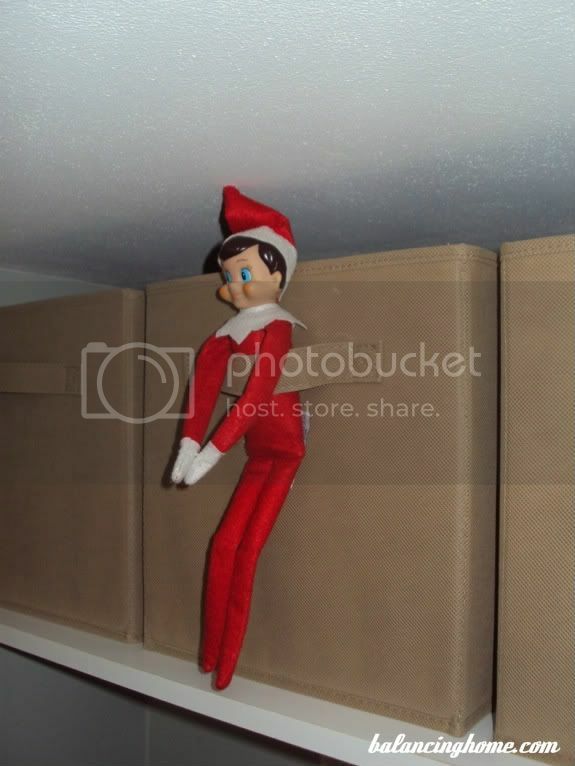 The Elf on The Shelf stuck in bin handle up high. 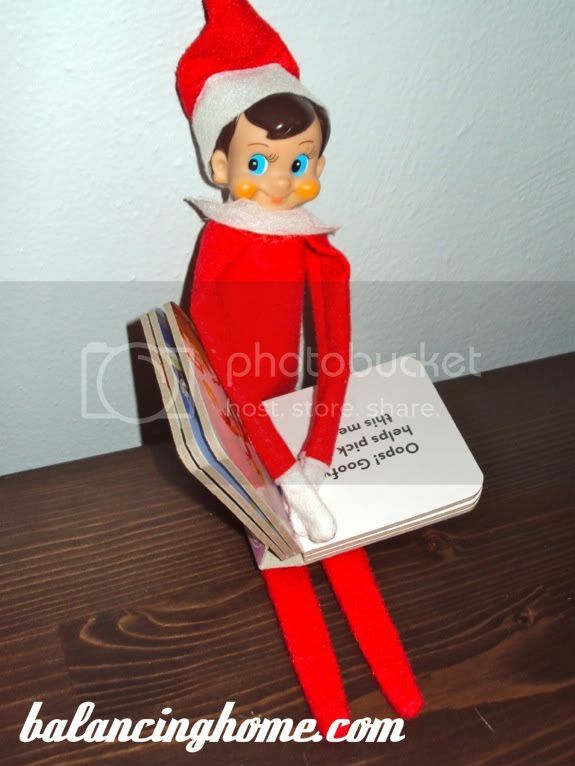 The Elf on The Shelf reading a book. 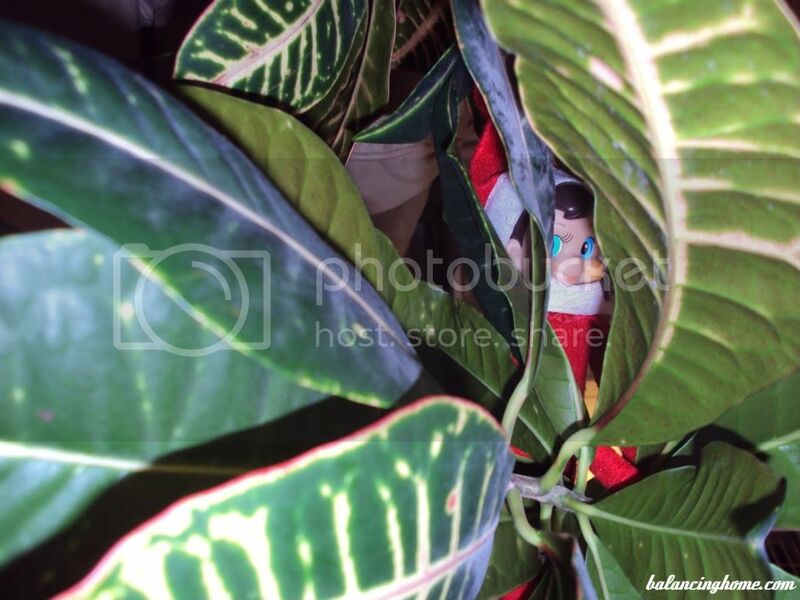 The Elf on The Shelf hiding in a plant. 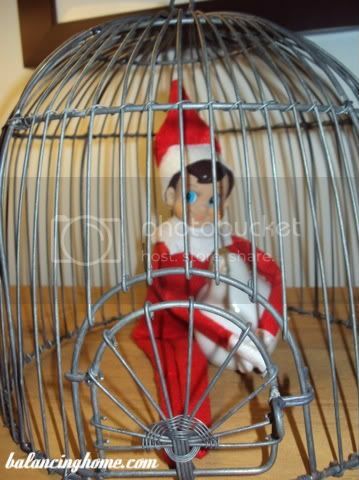 The Elf on The Shelf in a cage. 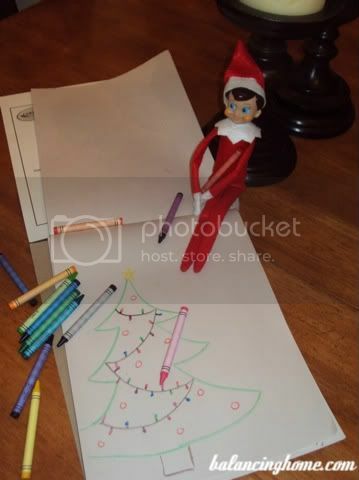 The Elf on The Shelf coloring. 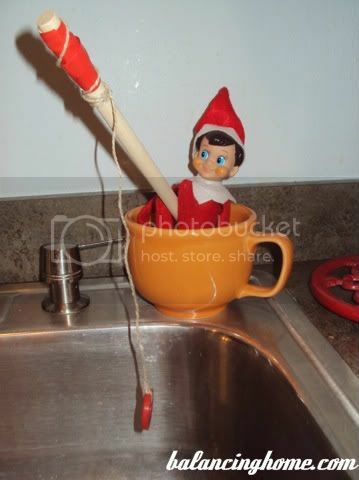 The Elf on The Shelf fishing. 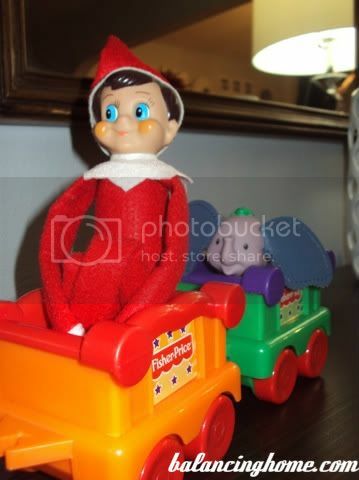 The Elf on The Shelf riding the rails. 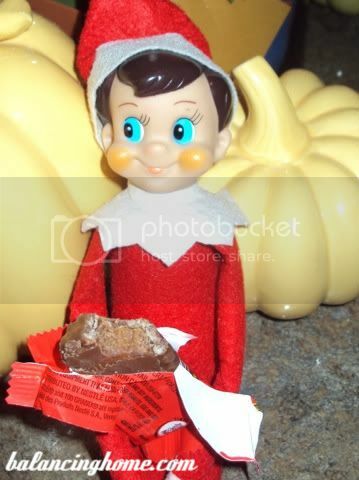 The Elf on The Shelf eating a candy bar.